Beautiful BIG water view! 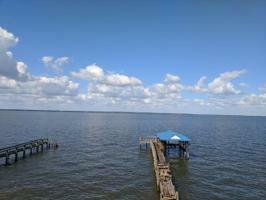 This home sets on the southern shore of Lake Marion delighting with miles & miles of views! Located close to Eutawville-an easy commute to Summerville & Charleston for full-time lake living! Open floorplan, 2 brs & baths on main floor. Attached 2 car garage, patio overlooking Lake, private pier w/boathouse, seawall, terraced w/sitting areas! Fire pit, landscaped & more! The data for this listing came from the Sumter, SC MLS. This listing data is current as of 04-20-2019 14:06 UTC. This property was still available as of 04-20-2019 14:06 UTC.